826NYC | Welcome Our CUNY Service Corps Members! Welcome Our CUNY Service Corps Members! We are excited to welcome our CUNY Service Corps members for the 2017-2018 school year! 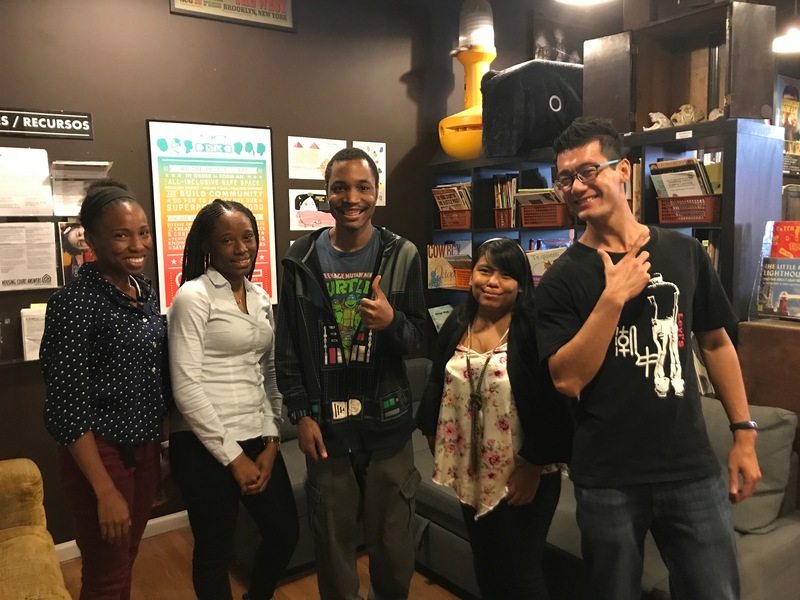 We introduce to you Giovanni Holmes who will be working in our Writers’ Room, Reather Harris and Darrell Ambersley who will be working in grant-writing and fundraising, Fanny Bravo who will be working on social media and marketing, Chloe Christian who will be working in In-Schools programming and workshops, and Wen Yong Huang who will be working in After-School Tutoring. We look forward to working with our CUNY Service Corps members to increase programming and better serve our students!